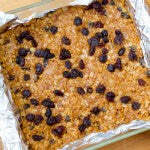 I make all kinds of granola bars fairly often. They get me through the workday and fuel my long runs and hikes. I love them for their convenience! 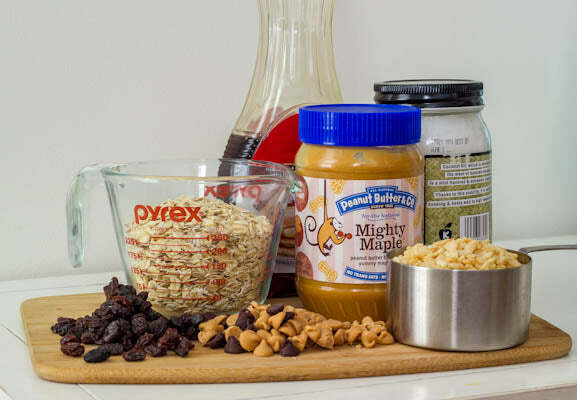 Practically all of my granola bar recipes start with a really good peanut butter, like Mighty Maple. 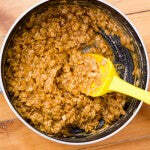 With the peanut butter, I always add wholesome healthy ingredients like oats and dried fruit. I like my granola bars extra chewy with lots of texture. 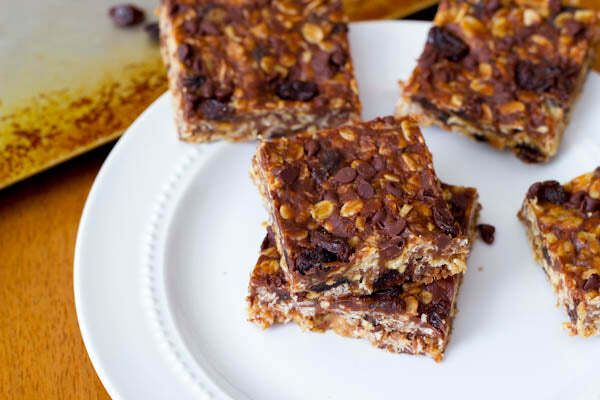 I chose raisins, peanut butter chips, and chocolate chips as my add-ins for these granola bars. 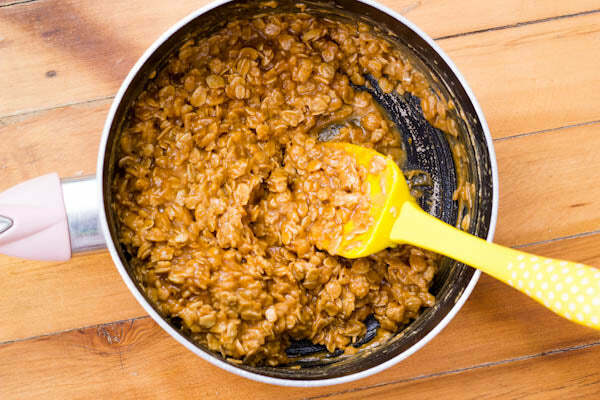 And each bite is bursting with peanut butter and maple flavors. These are a new favorite snack! 1. Line an 8-inch or 9-inch square baking pan with parchment paper or aluminum foil. Set aside. 2. 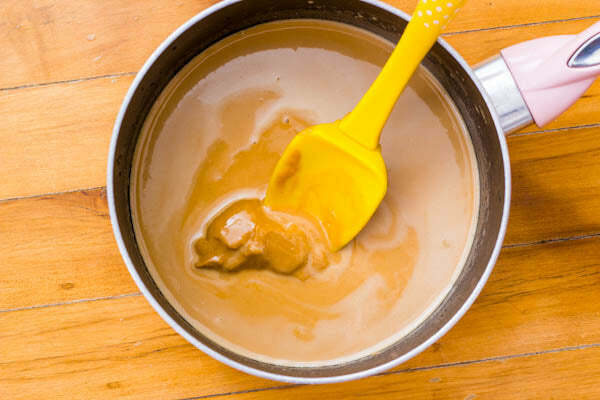 In a medium saucepan over low heat, melt the coconut oil, peanut butter chips, Mighty Maple, and maple syrup together until smooth. Remove from heat. 3. 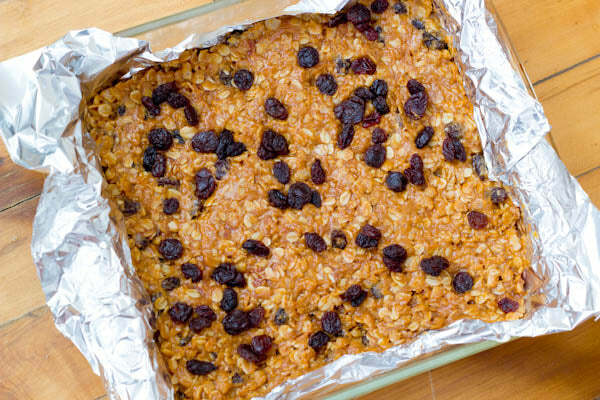 Mix in the oats, crispy rice cereal, and raisins. 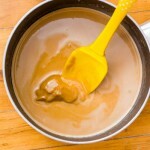 Press mixture into prepared baking pan. 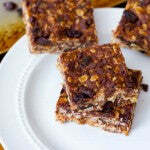 Top with mini chocolate chips and press down with the back of a spatula – the chocolate chips will melt down. 4. Refrigerate for at least 2 hours. Cut bars into squares. 5. Store bars in an airtight container in the refrigerator for up to 10 days. 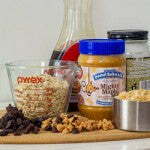 Sally uses Mighty Maple peanut butter in her granola bar recipe. 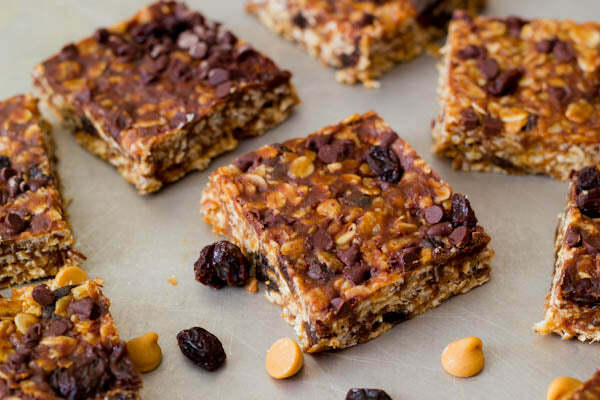 What other Peanut Butter & Co. variety would you make these granola bars with? – The giveaway is open to USA residents only and will run until Monday, January 27, 2014 at 11:59 PM EST. – Winner(s) will have until 1/30/14 to claim their prize or we will choose another winner. 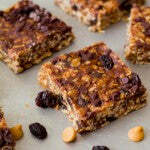 The post Chewy Maple Peanut Butter Granola Bars appeared first on - Peanut Butter & Co. Recipe Blog.